Blue potato bush (Lycianthes rantonnetii): growing, planting, caring. A profusion of trumpet-shaped, bright blue-purple flowers with a prominent yellow eye appear in summer. Three conditions for the blue potato bush to thrive happily : a sunny and warm spot - and no frost. 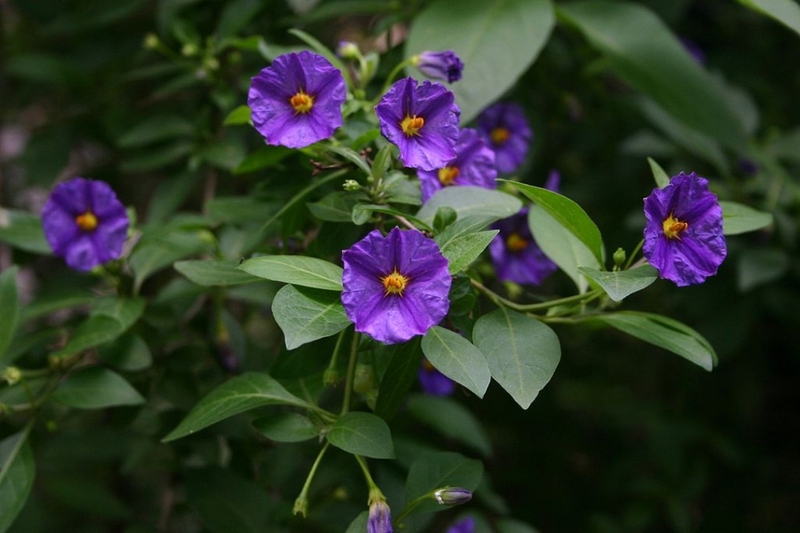 Lycianthes rantonnetii - the blue potato bush or Paraguay nightshade - is a species of flowering plant in the family Solanaceae, native to South America. It is a rounded evergreen shrub growing to about 6 ft (1.8 m) tall and broad, with a somewhat lax habit. Plant in spring in rich, well-drained soil, in sun or partial shade. If necessary, add compost or manure to the top of the soil. Soak the cups for at least 30 minutes before planting. To plant in pots, choose a container at least 40 cm in diameter for erect shaped variety. 20-30 cm is enough for creepers. Lay a layer of gravel or clay balls at the bottom and fill the pot with compost or ripe compost and loam. In all cases, water just after planting. You can plant your blue potato bush in the ground, provided you find a situation sheltered from cold winds. Note that it freezes between -4 and -7 ° C.
Water your potted blue potato bush regularly, with moderation - do not wet the foliage, and do not fill the cup. 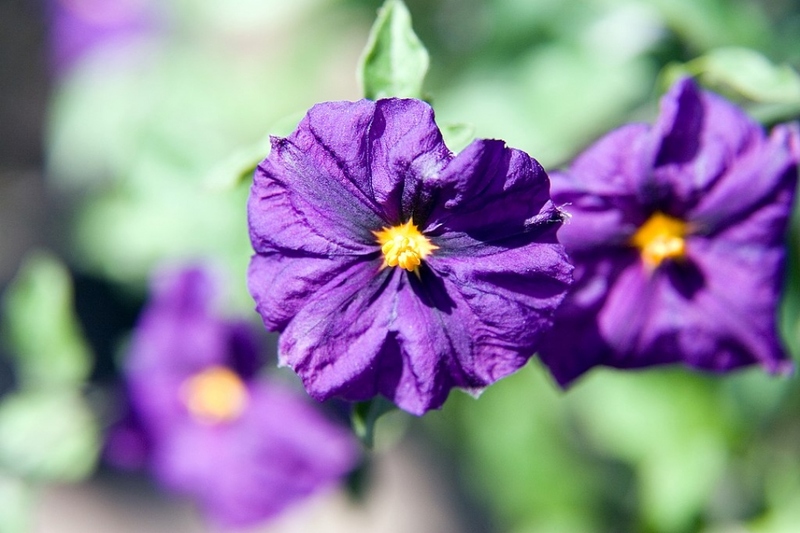 The blue potato bush is a a little demanding, so in pot you can boost it by giving it a little liquid fertilizer - without excess. A reasonable pace is every three weeks during growth and flowering. If it freezes hard in your area, shelter your potted blue potato bush inside as early as October. Place it in a cold greenhouse or an unheated, bright room. Cut down the stems by two-thirds. Every 3 years, you can repot your blue potato bush in a new container. For this, provide a slightly larger container field with potting soil compost and loam on a bed of gravel. Soak the root ball 30 minutes before moving it. If you do not have a larger pot, just scrape the topsoil and replace it with ripe compost. In Spring, you can force your blue potato bush to branch out. Before the flower buds open, pinch the ends of the stems.